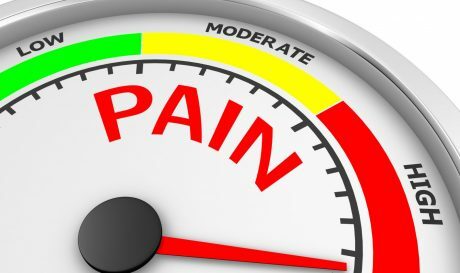 As an ERISA long term disability attorney, I frequently see long term disability claimants whom doctors prescribe narcotic pain medication, such as morphine, oxycodone, Norco, Vicodin, methadone, or Percocet, to manage the chronic pain. Often, the claimant does not begin taking this medication until after he or she stops working. The reason is one of the most frequently underdeveloped issues in long term disability claims. Doctors usually know the claimant cannot work while taking the narcotic pain medication, and once on it, cannot return to work. But that does not stop disability insurers from disregarding the effects of these medications on one’s ability to perform his or her occupation while taking the medication. This was just the case recently in Godmar v. Hewlett-Packard, Co., No. 15-1480, 2015 U.S. App. LEXIS 21467 (6th Cir. Dec. 9, 2015). There, Sedgwick Claims Management Services reviewed claims under Hewlett Packard’s long term disability plan. Godmar was a project manager at Hewlett-Packard and had to drive daily to and from a client job site to manage between eighteen and forty people. Due to serious leg injuries, and numerous surgeries, Godmar was prescribed morphine and Percocet, which caused him drowsiness and excessive sleeping. His doctors confirmed he could not drive a car while on the medication and could not work at his occupation. Nevertheless, Sedgwick denied the claim for long term disability benefits. The court overturned Sedgwick’s decision because neither Sedgwick nor its medical consultants addressed Godmar’s doctors’ opinion that the narcotic pain medication prevented Godmar from working, and specifically did not allow him to drive. Sedgwick cannot have considered how the side effects of those medications impact Godmar’s ability to work as a project manager who must drive to and from a job site daily. If you have a claim for long term disability benefits and are prescribed narcotic pain medication, speak with a knowledgeable ERISA long term disability lawyer.